Roger Federer believes Ivan Ljubicic’s playing experience against many of the players of the current generation could prove invaluable to him and his team, which the Croat has joined as a replacement coach for Stefan Edberg. Federer announced on Tuesday that his two-season partnership with Edberg has come to an end and that former world No3, Ljubicic, would be joining his coaching staff, which will still be led by Severin Luthi – the Swiss’ main man for the past eight years. Ljubicic, who retired from the game in 2012, recently vacated his role as the coach of Milos Raonic and was hired by Federer to work alongside Luthi. Federer and Ljubicic faced off 16 times during the Croat’s professional career and the 36-year-old will bring to the table lots of knowledge from his matches against Federer’s top rivals, both as a player and as a coach. “I think it’s very exciting that he’s joined the team,” Federer said of Ljubicic while speaking to reporters in Dubai on Friday ahead of his participation for the UAE Royals in the IPTL. “I’ve known Ivan for very long, very well. Super nice guy and because he’s played against a lot of the players I still play against today – it’s the first time I’ve had someone in my coaching staff who has done that. “I’ve always worked with coaches who have played in a different generation, so I think number one that’s very exciting for me to hear him out. In his last two seasons working with Edberg and Luthi together, Federer has captured 11 titles and made three grand slam finals. The 34-year-old Swiss, who will be playing in the Delhi leg of the IPTL on Saturday before flying back to Dubai for the December 14-16 action at the Dubai Duty Free Tennis Stadium, said Edberg – his long-time idol – would still stay in touch with him and “see me sometimes, help me out still if ever I needed him”. 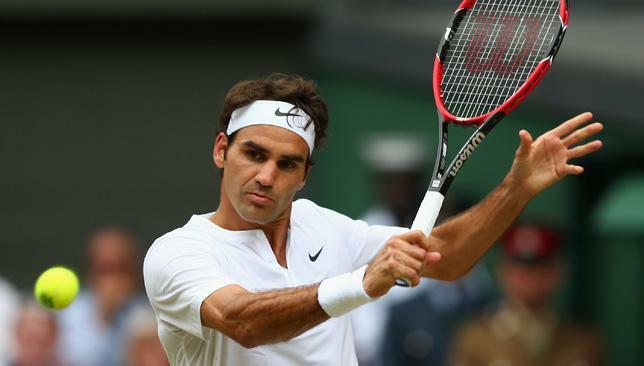 While many may not have predicted Federer’s choice in adding Ljubicic to his team, the 17-time major champion is confident in his decision. Asked what exactly he looks for in a coach at this point in his career compared to in the past, Federer said: “I feel it’s tougher to find somebody now just because Severin and I, we know a lot. So the question is what are we, or what am I exactly looking for? “And then all of a sudden you break it down and you see like there isn’t a million people for that kind of a job out there. “He needs to match the team, because my team is super solid, super well in place with my physio, my fitness coach, my agent, my wife, my kids… it’s solid. So that person needs room to be able to say what he wants to say, and have freedom to work. “He needs to be to some extent a family man, he needs to understand my world, my life, that’s why I think Stefan, Paul Annacone and everybody I almost worked with had kids as well. Which is helpful because they understand the process and they know how important family is, to them, and to me in particular, I’m a huge family person. “So it’s not a priority but it’s just a really important aspect which people forget, I do have four kids and my life is extremely busy in a great way. Ljubicic is expected to start working with Federer and his team soon in Dubai, where the Swiss will be having his preseason training. Federer is looking forward to defending his title in Brisbane, to kick off his 2016 season, before turning his attention to the Australian Open where he hopes he can do “much much better” than his third round exit in the 2015 edition. The ex-world No1 is happy with his past 12 months but admits catching up with the dominant force that is Novak Djokovic is a priority for next season. “I thought it was nearly great,” said Federer of 2015. Roger Federer is “very excited” about teaming up with Martina Hingis to represent Switzerland in mixed doubles at the Rio 2016 Olympics next summer, the world No3 told reporters on Friday in Dubai. Speaking ahead of the Dubai leg of the International Premier Tennis League (IPTL) after wrapping up a practice session in Madinat Jumeirah, before hopping on a plane to New Delhi, Federer confirmed that the highly-anticipated pairing is going to happen. Hingis, the current world No2 in the WTA doubles rankings, had sought out Federer to be her mixed doubles partner for Rio last spring and it was only on Friday that the 17-time major champion confirmed that he has accepted her offer. 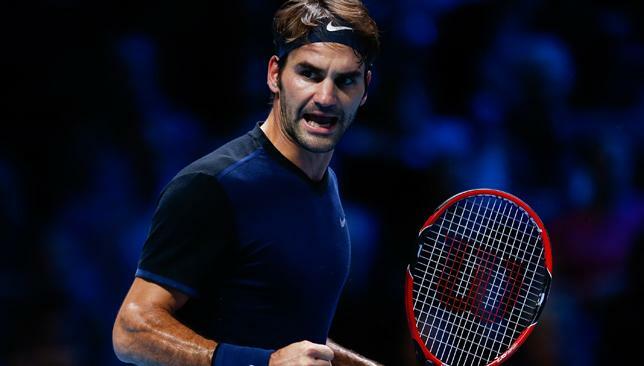 “Yes, I will play with Martina the mixed,” said Federer, who will feature for the UAE Royals in New Delhi against Rafael Nadal on Saturday in the IPTL. “I’m very excited about that because I haven’t played with her I guess in 15 years. Federer, 34, and Hingis, 35, last played mixed doubles together in the Hopman Cup back in 2001 (they won it that year). He has won two Olympic medals, a gold in doubles alongside Stan Wawrinka in Beijing 2008 and silver in singles in London 2012. Asked where he ranks Olympic gold in Rio on his priority list for next season, Federer said: “I’ve always said the Olympics is very important to me. “Every Olympic (Games) has been super… amazing experience, an eye-opener, a great learning curve for me, seeing other athletes, getting inspired and motivated, carrying the flag is such a proud moment in my career and my life as a person, to have done that twice for Switzerland was incredible in Athens and in Beijing. “Winning the gold with Stan, meeting [my wife] Mirka in Sydney 2000, getting the silver in London, it felt like I won gold, but I was still very happy and it was incredible the combination to win the Olympics at Wimbledon, it was just… maybe never happen again in my lifetime, so I really cherish that moment. Borna Devald won the U-13 Junior Orange Bowl in Florida. Over the years Croatia has produced some the world’s greatest men’s tennis players such as Goran Ivanisevic and Marin Cilic. Waiting in the wings is the teenage sensation Borna Devald. The thirteen-year-old trains in Croatia’s captial Zagreb, having first played the sport aged five. Devald was also a keen footballer but was forced to give up the sport at 10 to concentrate on tennis. Devald’s coach has to strike a balance between being hard on the youngster and letting him enjoy the game. Clearly the coach is doing well as the young Croatian prodigy is rarely without a smile at training despite the long hours. Last December Devald won the U-13 Junior Orange Bowl in Florida, the most prestigious tournamet for that age grade in the world, with a resounding 6-1, 6-0 win in the final.